Triona is a Legal Executive in the Property team at Hayes solicitors having previously worked as a Legal Executive in the area of Employment Law. She assists the team in the purchase, sale, mortgaging and refinancing of both residential and commercial properties. 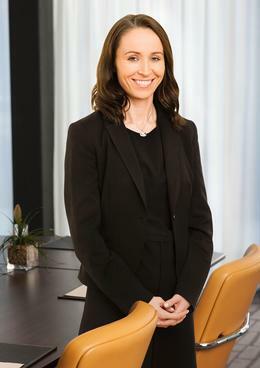 Triona assists and works closely with her colleagues in a broad range of transactions, including the sale of distressed properties, receivership sales, site acquisitions, and commercial leases. Experienced in sales of new homes in large high profile residential developments. Previously part of a team of solicitors and legal executives involved in an extensive bank due diligence project requiring both security and title review. Frequently drafts documentation in a range of high value transactions, liaises with clients, auctioneers, receivers throughout. Ensures that all post-completion requirements such as stamping and registration of title are complied with. Experienced in drafting Enduring Powers of Attorney. Responsibility for managing and maintaining a register of undertakings in line with the firm’s risk management policies.